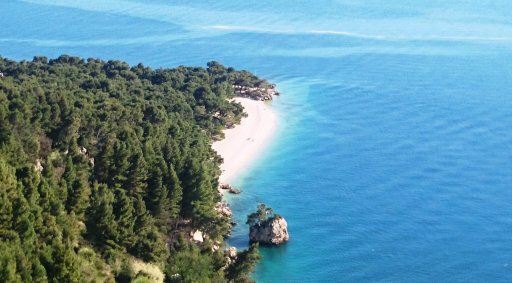 A pleasant ride by speed boat will bring us to the island of Brač, the highest and third largest island in the Adriatic, into the picturesque town of Bol, the most famous tourist centre on the island. You can enjoy a walk to the Dominican Monastery, which has an extensive library and archive, and cellars of the oldest winery in Dalmatia, where you can taste the local wines. 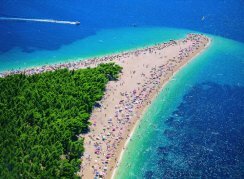 There will be free time for swimming and sunbathing at the most famous Adriatic beach Zlatni Rat (Golden Horn), extending into the sea with a dense pine forest in the back, offering a wide choice of sports and entertainment. Boat ride and guide on the boat included in the price.